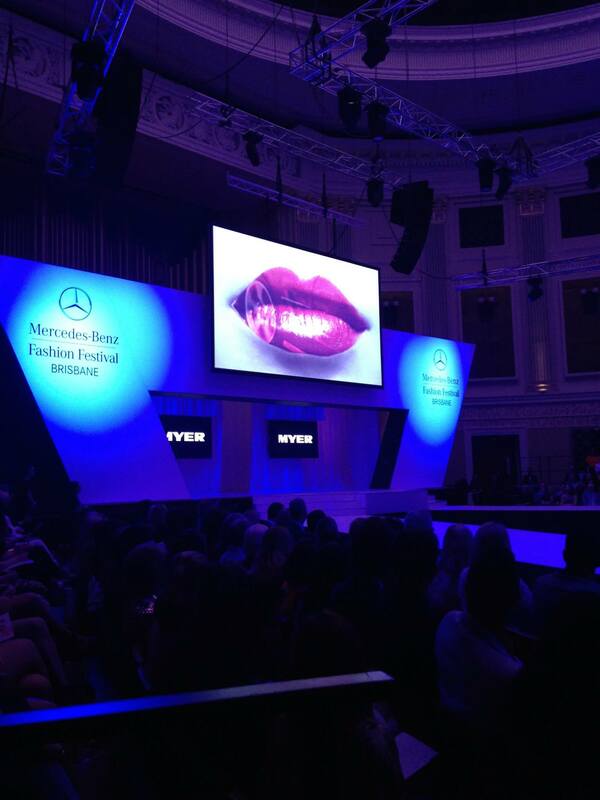 Filled with so many “hate to see you go but love to watch you walk away” moments, the Mercedes-Benz Fashion Festival (MBFF) in Brisbane delivered all the chic and outrageous moments you’ve come to expect and our blogger Mik captured all the action throughout the week from the media pit. The week kicked off with MYER’s Spring Summer (S/S) 15 runway debut. Designers who call MYER home, including Australian favourites Alex Perry, Sass & Bide, Cue and Seafolly, all showcased their new looks. All designers embodied the theme of summer loving, warm days and cool nights. Seafolly was a personal favorite of mine as they incorporated quirky designs into their swimwear pieces and making me, a girl who longs for winter, excited for time spent lounging in cute swimwear. The Emerging Designer Show is always an inspiring event to attend. For the second night of MBFF we were submerged in the talent of up and coming designers including A Jacksonian Era, Anna Hulm, Otim Ajalia, and Emu Designs. A Jacksonian Era rocked a “Cleopatra meets Victoria’s Secret Angel” vibe, while Anna Hulm showcased her beautiful, signature silk pieces. Otim Ajalia was a breath of fresh air as they hit the runway with quirky, funky menswear designs – definitely a brand for the man who isn’t afraid of adding some unique patterns to his wardrobe. Emu Designs was a stand out with their bold patterns and headpieces, the perfect addition to completely crush this summer season. The week wrapped up for me at the Mercedes-Benz Group Show on the Thursday night. Pistols at Dawn, Talulah, Michelangelo and George Wu stole the spotlight, making it an extremely memorable night. Not only did Pistols at Dawn walk to Artic Monkey’s “Do I Wanna Know?” but the male models were accompanied by their very own ‘mini-me’s! It was a runway twist that complimented the brand’s casual-dressy vibe. Talulah and George Wu stayed true to the summery mood with florals and lace playing a major role of most designs. I’m normally not a person to jump at the sight of a handbag, but Michelangelo certainly had me thinking otherwise with their vibrant and powerful statement handbags.